The first great Chelsea, MA fire was on April 12, 1908. Over 2800 buildings were destroyed. The fire began at the Atwood and McManus Box Company on Everett Ave. at the Vale Street. Wind carried the burning embers to other buildings. There were four fatalities, many injuries, and 10,000 people were left homeless. Most of the buildings in the area were of cheap wooden construction. 13 churches, to hospitals, the public library, the City Hall, five schools, 20 blocks filled with businesses, and 300 residences were destroyed. Move forward to October 14, 1973. The second conflagration to hit Chelsea struck within hundreds of feet of the first conflagration of 1908. The area was dilapidated and under an urban renewal plan. The rag shop district was to be converted into a modern industrial park. 39 buildings had been vacated, but not yet demolished. Some of the buildings held product which was not salable. Again, wind was a major factor in spreading the fire. By the end of the fire, 18 city blocks, 45 acres, and an area 1 mile long and 1/2 mile wide were destroyed. Fortunately, there were no reported fatalities. Throughout history there are many examples of recurring fires. Perhaps not in the same city, but in the same type occupancy. Nightclubs, theaters, hotels, and residences are some of the occupancies jump forward in my mind when I think of recurring fires, particularly when I think of loss of life. Our fire codes and standards are developed as a result of major fire losses. Many lives have been lost, many people have been injured, and many people have been tragically touched as a result of these fire incidents. One of the greatest defenders against fire is the automatic sprinkler system. Today in the United States, our hotels, hospitals, nightclubs, and other assembly occupancies are predominately sprinkler protected. Our next great challenge is the sprinkler protection of all private residences. Almost 40 years ago, in 1973, the presidentially appointed National Commission on Fire Prevention and Control published America Burning. The report stated that we should be using new technology, such as sprinkler protection, to protect our country from the ravages of fire. In terms of the residential fire problem, the statistics have changed, but the problem continues to exist. According to the United States Fire Administration, An estimated 374,900 residential building fires are reported to U.S. fire departments each year and cause an estimated 2,630 deaths, 13,075 injuries, and $7.6 billion in property loss (2009 statistics). Forty-six percent of nonconfined residential building fires extend beyond the room of origin. Smoke alarms were not present in 21 percent of the larger, nonconfined fires in occupied residential buildings. 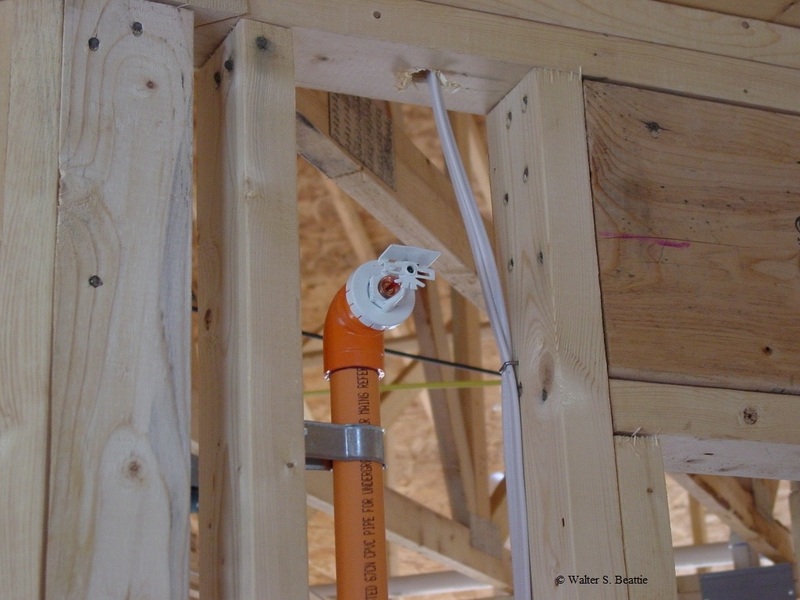 The fire service is making progress by endorsing ordinances which require automatic sprinkler protection in all new residential construction. Unfortunately, many of our lawmakers who have sworn to protect us are falling short when it comes to ordinances requiring fire sprinklers. In Pennsylvania, a state law was passed to require automatic sprinklers in all new residential construction. Unfortunately, our lawmakers kowtowed to the construction lobbyists which help fund their reelection coffers. The law to require sprinklers in residential structures was recently repealed, opening the door to additional future residential fire deaths in Pennsylvania. When is our society going to wake up to the fire hazards in our communities? When is our society going to take a proactive stance against fire deaths in our communities? Until we are personally touched by the catastrophe of fire, fire is another person’s problem, not ours. This entry was posted on Friday, October 14th, 2011 at 10:28 am and is filed under Uncategorized. You can follow any responses to this entry through the RSS 2.0 feed. You can leave a response, or trackback from your own site.